Good illustrations catch your eye particularly in a world of dead stock photos. But they can also bring light and communicate in a way words can’t. Illustration for The Album “Convoluted Substances” Including a poster. 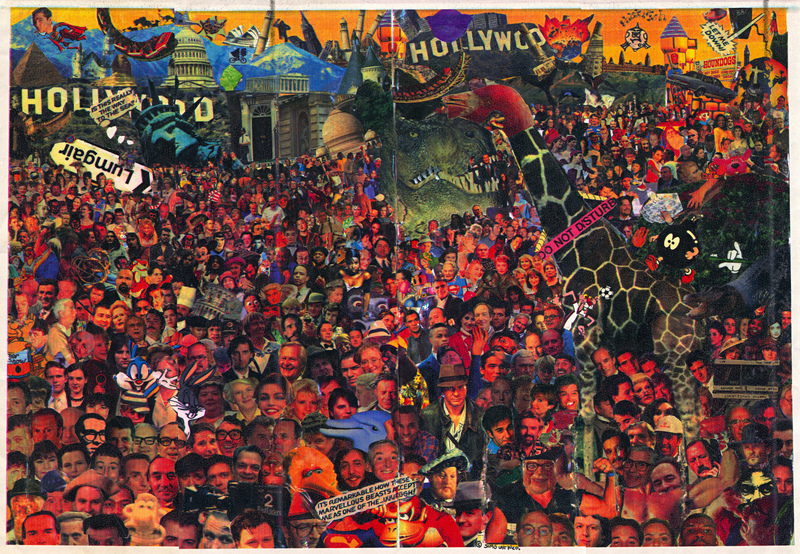 A cut and stick collage of a crowd scene created from images of famous people from the 1990s. This was made at the time with images from magazines broadly placed in perspective order.